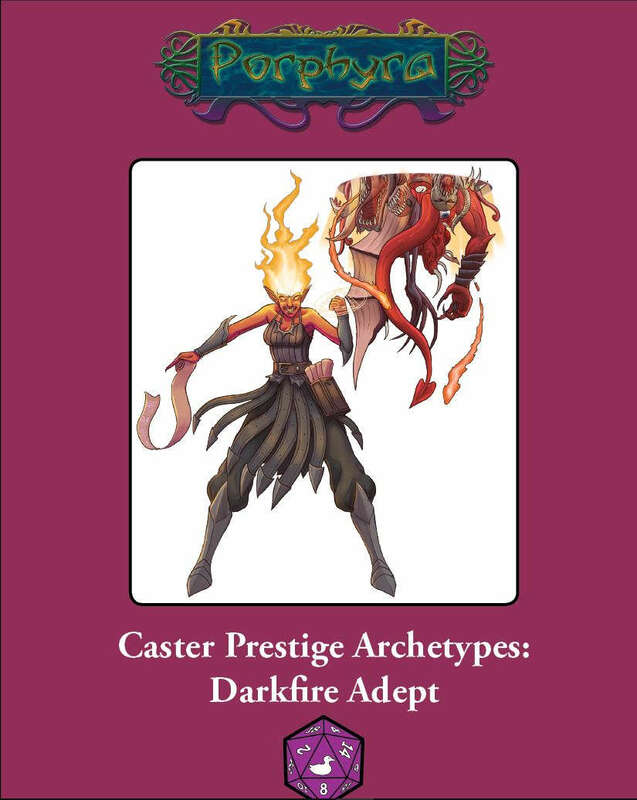 Welcome to our new series of prestige archetypes (if you want a subscription you can find it here). The third release is the darkfire adept. The darkfire adept works for the ultimate goal; the annihilation of reality and a return to primal nothingness. Not popular even at the best of times, believers in the end times are usually shunned or shut away as madmen. But a few of these fanatics manage to reach out to the power of darkfire, the cleansing flame they believe will ultimately undo all creation. Darkfire adepts seek to further the end of all things. They do this by undermining the very structure of the universe, breaking the boundaries between the planes and setting planar fiends free to wreak havoc. Some show their allegiance openly and go preaching, others hide behind a veneer of civilized behavior and seek to unravel society from within. Build Class Options: The darkfire adept is built on the wizard, but the following optional build classes are described below: arcanist, cleric, oracle, psychic, sacerdote, sorcerer, summoner, and witch. Role: The blackfire adept is a consummate summoner of evil creatures.